I want to study music here. 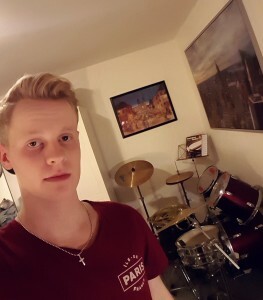 On the picture I am standing in my room in front of my drumset. I play the drums for five years. My other hobbys are playing basketball and football. I really like to watch movies and go to the cinema. I like the snow because that means christmas time is coming.